term has been distorted by misinformed Christians. some of its longer paragraphs into shorter ones. “What is Truth?” asked Pilate of one who, if the claims of the Christian Church are even approximately correct, must have known it. But He kept silent. And the truth which He did not divulge, remained unrevealed, for his later followers as much as for the Roman Governor. This policy led gradually to dogmatism and assertion. Dogmatism in churches, dogmatism in science, dogmatism everywhere. The possible truths, hazily perceived in the world of abstraction, like those inferred from observation and experiment in the world of matter, are forced upon the profane multitudes, too busy to think for themselves, under the form of Divine revelation and Scientific authority. But the same question stands open from the days of Socrates and Pilate down to our own age of wholesale negation: is there such a thing as absolute truth in the hands of any one party or man? Reason answers, “there cannot be”. There is no room for absolute truth upon any subject whatsoever, in a world as finite and conditioned as man is himself. But there are relative truths, and we have to make the best we can of them. In every age there have been Sages who had mastered the absolute and yet could teach but relative truths. For none yet, born of mortal woman in our race, has, or could have given out, the whole and the final truth to another man, for every one of us has to find that (to him) final knowledge in himself. As no two minds can be absolutely alike, each has to receive the supreme illumination through itself, according to its capacity, and from no human light. The greatest adept living can reveal of the Universal Truth only so much as the mind he is impressing it upon can assimilate, and no more. Tot homines, quot sententiae – is an immortal truism. The sun is one, but its beams are numberless; and the effects produced are beneficent or maleficent, according to the nature and constitution of the objects they shine upon. Polarity is universal, but the polariser lies in our own consciousness. In proportion as our consciousness is elevated towards absolute truth, so do we men assimilate it more or less absolutely. But man’s consciousness again, is only the sunflower of the earth. Longing for the warm ray, the plant can only turn to the sun, and move round and round in following the course of the unreachable luminary: its roots keep it fast to the soil, and half its life is passed in the shadow. . . . Still each of us can relatively reach the Sun of Truth even on this earth, and assimilate its warmest and most direct rays, however differentiated they may become after their long journey through the physical particles in space. To achieve this, there are two methods. On the physical plane we may use our mental polariscope; and, analyzing the properties of each ray, choose the purest. On the plane of spirituality, to reach the Sun of Truth we must work in dead earnest for the development of our higher nature. We know that by paralyzing gradually within ourselves the appetites of the lower personality, and thereby deadening the voice of the purely physiological mind – that mind which depends upon, and is inseparable from, its medium or vehicle, the organic brain – the animal man in us may make room for the spiritual; and once aroused from its latent state, the highest spiritual senses and perceptions grow in us in proportion, and develop pari passu with the “divine man”. This is what the great adepts, the Yogis in the East and the Mystics in the West, have always done and are still doing. But we also know, that with a few exceptions, no man of the world, no materialist, will ever believe in the existence of such adepts, or even in the possibility of such a spiritual or psychic development. “The (ancient) fool hath said in his heart, There is no God”; the modern says, “There are no adepts on earth, they are figments of your diseased fancy”. Knowing this we hasten to reassure our readers of the Thomas Didymus type. We beg them to turn in this magazine to reading more congenial to them; say to the miscellaneous papers on Hylo-Idealism, by various writers. For “Lucifer” tries to satisfy its readers of whatever “school of thought”, and shows itself equally impartial to Theist and Atheist, Mystic and Agnostic, Christian and Gentile. Such articles as our editorials, the Comments on “Light on the Path”, etc., etc. – are not intended for Materialists. They are addressed to Theosophists, or readers who know in their hearts that Masters of Wisdom do exist: and, though absolute truth is not on earth and has to be searched for in higher regions, that there still are, even on this silly, ever whirling little globe of ours, some things that are not even dreamt of in Western philosophy. As make the angels weep. Now, since truth is a multifaced jewel, the facets of which it is impossible to perceive all at once; and since, again, no two men, however anxious to discern truth, can see even one of those facets alike, what can be done to help them to perceive it? As physical man, limited and trammelled from every side by illusions, cannot reach truth by the light of his terrestrial perceptions, we say – develop in you the inner knowledge. From the time when the Delphic oracle said to the enquirer “Man, know thyself”, no greater or more important truth was ever taught. Without such perception, man will remain ever blind to even many a relative, let alone absolute, truth. Man has to know himself, i.e., acquire the inner perceptions which never deceive, before he can master any absolute truth. Absolute truth is the symbol of Eternity, and no finite mind can ever grasp the eternal, hence, no truth in its fulness can ever dawn upon it. To reach the state during which man sees and senses it, we have to paralyze the senses of the external man of clay. This is a difficult task, we may be told, and most people will, at this rate, prefer to remain satisfied with relative truths, no doubt. But to approach even terrestrial truths requires, first of all, love of truth for its own sake, for otherwise no recognition of it will follow. And who loves truth in this age for its own sake? How many of us are prepared to search for, accept, and carry it out, in the midst of a society in which anything that would achieve success has to be built on appearances, not on reality, on self-assertion, not on intrinsic value? We are fully aware of the difficulties in the way of receiving truth. The fair heavenly maiden descends only on a (to her) congenial soil – the soil of an impartial, unprejudiced mind, illuminated by pure Spiritual Consciousness; and both are truly rare dwellers in civilized lands. In our century of steam and electricity, when man lives at a maddening speed that leaves him barely time for reflection, he allows himself usually to be drifted down from cradle to grave, nailed to the Procrustean bed of custom and conventionality. Now conventionality – pure and simple – is a congenital LIE, as it is in every case a “simulation of feelings according to a received standard” (F. W. Robertson’s definition); and where there is any simulation there cannot be any truth. How profound the remark made by Byron, that “truth is a gem that is found at a great depth; whilst on the surface of this world all things are weighed by the false scales of custom”, is best known to those who are forced to live in the stifling atmosphere of such social conventionalism, and who, even when willing and anxious to learn, dare not accept the truths they long for, for fear of the ferocious Moloch called Society. Look around you, reader; study the accounts given by world-known travellers, recall the joint observations of literary thinkers, the data of science and of statistics. Draw the picture of modern society, of modern politics, of modern religion and modern life in general before your mind’s eye. Remember the ways and customs of every cultured race and nation under the sun. Observe the doings and the moral attitude of people in the civilized centres of Europe, America, and even of the far East and the colonies, everywhere where the white man has carried the “benefits” of so-called civilization. And now, having passed in review all this, pause and reflect, and then name, if you can, that blessed Eldorado, that exceptional spot on the globe, where TRUTH is the honoured guest, and LIE and SHAM the ostracised outcasts? YOU CANNOT. Nor can anyone else, unless he is prepared and determined to add his mite to the mass of falsehood that reigns supreme in every department of national and social life. “Truth!” cried Carlyle, “truth, though the heavens crush me for following her, no falsehood, though a whole celestial Lubberland were the prize of Apostasy”. Noble words, these. But how many think, and how many will dare to speak as Carlyle did, in our nineteenth century day? Does not the gigantic appalling majority prefer to a man the “paradise of Do-nothings”, the pays de Cocagne of heartless selfishness? It is this majority that recoils terror-stricken before the most shadowy outline of every new and unpopular truth, out of mere cowardly fear, lest Mrs. Harris should denounce, and Mrs. Grundy condemn, its converts to the torture of being rent piecemeal by her murderous tongue. SELFISHNESS, the first-born of Ignorance, and the fruit of the teaching which asserts that for every newly-born infant a new soul, separate and distinct from the Universal Soul, is “created” – this Selfishness is the impassable wall between the personal Self and Truth. It is the prolific mother of all human vices, Lie being born out of the necessity for dissembling, and Hypocrisy out of the desire to mask Lie. It is the fungus growing and strengthening with age in every human heart in which it has devoured all better feelings. Selfishness kills every noble impulse in our natures, and is the one deity, fearing no faithlessness or desertion from its votaries. Hence, we see it reign supreme in the world and in so-called fashionable society. As a result, we live, and move, and have our being in this god of darkness under his trinitarian aspect of Sham, Humbug, and Falsehood, called RESPECTABILITY. Is this Truth and Fact, or is it slander? Turn whichever way you will, and you find, from the top of the social ladder to the bottom, deceit and hypocrisy at work for dear Self’s sake, in every nation as in every individual. But nations, by tacit agreement, have decided that selfish motives in politics shall be called “noble national aspiration, patriotism”, etc. ; and the citizen views it in his family circle as “domestic virtue”. Nevertheless, Selfishness, whether it breeds desire for aggrandizement of territory, or competition in commerce at the expense of one’s neighbour, can never be regarded as a virtue. We see smooth-tongued DECEIT and BRUTE FORCE – the Jachin and Boaz of every International Temple of Solomon- called Diplomacy, and we call it by its right name. Because the diplomat bows low before these two pillars of national glory and politics, and puts their masonic symbolism “in (cunning) strength shall this my house be established” into daily practice; i.e., gets by deceit what he cannot obtain by force – shall we applaud him? A diplomat’s qualification – “dexterity or skill in securing advantages” – for one’s own country at the expense of other countries, can hardly be achieved by speaking truth, but verily by a wily and deceitful tongue; and, therefore, LUCIFER calls such action – a living, and an evident LIE. But it is not in politics alone that custom and selfishness have agreed to call deceit and lie virtue, and to reward him who lies best with public statues. Every class of Society lives on LIE, and would fall to pieces without it. Cultured, God-and-law-fearing aristocracy, being as fond of the forbidden fruit as any plebeian, is forced to lie from morn to noon in order to cover what it is pleased to term its “little peccadillos”, but which TRUTH regards as gross immorality. Society of the middle classes is honeycombed with false smiles, false talk, and mutual treachery. For the majority religion has become a thin tinsel veil thrown over the corpse of spiritual faith. The master goes to church to deceive his servants; the starving curate – preaching what he has ceased to believe in – hoodwinks his bishop; the bishop – his God. Dailies, political and social, might adopt with advantage for their motto Georges Dandin’s immortal query – “Lequel de nous deux trompe-t-on ici?”- Even Science, once the anchor of the salvation of Truth, has ceased to be the temple of naked Fact. Almost to a man the Scientists strive now only to force upon their colleagues and the public the acceptance of some personal hobby, of some new-fangled theory, which will shed lustre on their name and fame. A Scientist is as ready to suppress damaging evidence against a current scientific hypothesis in our times, as a missionary in heathen-land, or a preacher at home, to persuade his congregation that modern geology is a lie, and evolution but vanity and vexation of spirit. Such is the actual state of things in 1888 A.D., and yet we are taken to task by certain papers for seeing this year in more than gloomy colours! Lie has spread to such extent – supported as it is by custom and conventionalities – that even chronology forces people to lie. The suffixes A.D. and B.C. used after the dates of the year by Jew and Heathen, in European and even Asiatic lands, by the Materialist and the Agnostic as much as by the Christian, at home, are – a lie used to sanction another LIE. Where then is even relative truth to be found? If, so far back as the century of Democritus, she appeared to him under the form of a goddess lying at the very bottom of a well, so deep that it gave but little hope for her release; under the present circumstances we have a certain right to believe her hidden, at least, as far off as the ever invisible dark side of the moon. This is why, perhaps, all the votaries of hidden truths are forthwith set down as lunatics. However it may be, in no case and under no threat shall “Lucifer” be ever forced into pandering to any universally and tacitly recognised, and as universally practised lie, but will hold to fact, pure and simple, trying to proclaim truth whensoever found, and under no cowardly mask. Bigotry and intolerance may be regarded as orthodox and sound policy, and the encouraging of social prejudices and personal hobbies at the cost of truth, as a wise course to pursue in order to secure success for a publication. Let it be so. The Editors of “Lucifer” are Theosophists, and their motto is chosen: Vera pro gratiis. They are quite aware that Lucifer’s libations and sacrifices to the goddess Truth do not send a sweet savoury smoke into the noses of the lords of the press, nor does the bright “Son of the Morning” smell sweet in their nostrils. He is ignored when not abused as – veritas odium paret. Even his friends are beginning to find fault with him. They cannot see why it should not be a purely Theosophical magazine, in other words, why it refuses to be dogmatic and bigoted. Instead of devoting every inch of space to theosophical and occult teachings, it opens its pages “to the publication of the most grotesquely heterogeneous elements and conflicting doctrines”. This is the chief accusation, to which we answer – why not? Theosophy is divine knowledge, and knowledge is truth; every true fact, every sincere word are thus part and parcel of Theosophy. One who is skilled in divine alchemy, or even approximately blessed with the gift of the perception of truth, will find and extract it from an erroneous as much as from a correct statement. However small the particle of gold lost in a ton of rubbish, it is the noble metal still, and worthy of being dug out even at the price of some extra trouble. As has been said, it is often as useful to know what a thing is not, as to learn what it is. The average reader can hardly hope to find any fact in a sectarian publication under all its aspects, pro and con, for either one way or the other its presentation is sure to be biassed, and the scales helped to incline to that side to which its editor’s special policy is directed. A Theosophical magazine is thus, perhaps, the only publication where one may hope to find, at any rate, the unbiassed, if still only approximate truth and fact. Naked truth is reflected in “Lucifer” under its many aspects, for no philosophical or religious views are excluded from its pages. And, as every philosophy and religion, however incomplete, unsatisfactory, and even foolish some may be occasionally, must be based on a truth and fact of some kind, the reader has thus the opportunity of comparing, analysing, and choosing from the several philosophies discussed therein. “Lucifer” offers as many facets of the One universal jewel as its limited space will permit, and says to its readers: “Choose you this day whom ye will serve: whether the gods that were on the other side of the flood which submerged man’s reasoning powers and divine knowledge, or the gods of the Amorites of custom and social falsehood, or again, the Lord of (the highest) Self – the bright destroyer of the dark power of illusion?” Surely it is that philosophy that tends to diminish, instead of adding to, the sum of human misery, which is the best. At all events, the choice is there, and for this purpose only have we opened our pages to every kind of contributors. Therefore do you find in them the views of a Christian clergyman who believes in his God and Christ, but rejects the wicked interpretations and the enforced dogmas of his ambitious proud Church, along with the doctrines of the Hylo-Idealist, who denies God, soul, and immortality, and believes in nought save himself. The rankest Materialists will find hospitality in our journal; aye, even those who have not scrupled to fill pages of it with sneers and personal remarks upon ourselves, and abuse of the doctrines of Theosophy, so dear to us. When a journal of free thought, conducted by an Atheist, inserts an article by a Mystic or Theosophist in praise of his occult views and the mystery of Parabrahmam, and passes on it only a few casual remarks, then shall we say “Lucifer” has found a rival. When a Christian periodical or missionary organ accepts an article from the pen of a free-thinker deriding belief in Adam and his rib, and passes criticism on Christianity – its editor’s faith – in meek silence, then it will have become worthy of “Lucifer”, and may be said truly to have reached that degree of tolerance when it may be placed on a level with any Theosophical publication. But so long as none of these organs do something of the kind, they are all sectarian, bigoted, intolerant, and can never have an idea of truth and justice. They may throw innuendoes against “Lucifer” and its editors, they cannot affect either. In fact, the editors of that magazine feel proud of such criticism and accusations, as they are witnesses to the absolute absence of bigotry, or arrogance of any kind in theosophy, the result of the divine beauty of the doctrines it preaches. For, as said, Theosophy allows a hearing and a fair chance to all. It deems no views – if sincere – entirely destitute of truth. It respects thinking men, to whatever class of thought they may belong. Ever ready to oppose ideas and views which can only create confusion without benefiting philosophy, it leaves their expounders personally to believe in whatever they please, and does justice to their ideas when they are good. Indeed, the conclusions or deductions of a philosophic writer may be entirely opposed to our views and the teachings we expound; yet his premises and statements of facts may be quite correct, and other people may profit by the adverse philosophy, even if we ourselves reject it, believing we have something higher and still nearer to the truth. In any case, our profession of faith is now made plain, and all that is said in the foregoing pages both justifies and explains our editorial policy. To sum up the idea, with regard to absolute and relative truth, we can only repeat what we said before. Outside a certain highly spiritual and elevated state of mind, during which Man is at one with the UNIVERSALMIND – he can get nought on earth but relative truth, or truths, from whatsoever philosophy or religion. Were even the goddess who dwells at the bottom of the well to issue from her place of confinement, she could give man no more than he can assimilate. Meanwhile, everyone can sit near that well – the name of which is KNOWLEDGE – and gaze into its depths in the hope of seeing Truth’s fair image reflected, at least, on the dark waters. This, however, as remarked by Richter, presents a certain danger. Some truth, to be sure, may be occasionally reflected as in a mirror on the spot we gaze upon, and thus reward the patient student. But, adds the German thinker, “I have heard that some philosophers in seeking for Truth, to pay homage to her, have seen their own image in the water and adored it instead.” …. It is to avoid such a calamity – one that has befallen every founder of a religious or philosophical school – that the editors are studiously careful not to offer the reader only those truths which they find reflected in their own personal brains. They offer the public a wide choice, and refuse to show bigotry and intolerance, which are the chief landmarks on the path of Sectarianism. But, while leaving the widest margin possible for comparison, our opponents cannot hope to find their faces reflected on the clear waters of our “Lucifer”, without remarks or just criticism upon the most prominent features thereof, if in contrast with theosophical views. This, however, only within the cover of the public magazine, and so far as regards the merely intellectual aspect of philosophical truths. Concerning the deeper spiritual, and one may almost say religious, beliefs, no true Theosophist ought to degrade these by subjecting them to public discussion, but ought rather to treasure and hide them deep within the sanctuary of his innermost soul. Such beliefs and doctrines should never be rashly given out, as they risk unavoidable profanation by the rough handling of the indifferent and the critical. Nor ought they to be embodied in any publication except as hypotheses offered to the consideration of the thinking portion of the public. 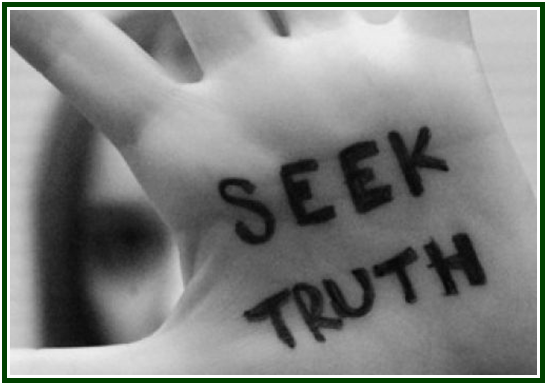 Theosophical truths, when they transcend a certain limit of speculation, had better remain concealed from public view, for the “evidence of things not seen” is no evidence save to him who sees, hears, and senses it. It is not to be dragged outside the “Holy of Holies”, the temple of the impersonal divine Ego, or the indwelling SELF. For, while every fact outside its perception can, as we have shown, be, at best, only a relative truth, a ray from the absolute truth can reflect itself only in the pure mirror of its own flame – our highest SPIRITUAL CONSCIOUSNESS. And how can the darkness (of illusion) comprehend the LIGHT that shineth in it? (Note by HPB) e.g., to the little article “Autocentricism” – on the same “philosophy”, or again, to the apex of the Hylo-Idealist pyramid in this Number. It is a letter of protest by the learned Founder of the School in question, against a mistake of ours. He complains of our “coupling” his name with those of Mr. Herbert Spencer, Darwin, Huxley, and others, on the question of atheism and materialism, as the said lights in the psychological and physical sciences are considered by Dr. Lewins too flickering, too “compromising” and weak, to deserve the honourable appellation of Atheists or even Agnostics. See “Correspondence” in Double Column, and the reply by “The Adversary”. 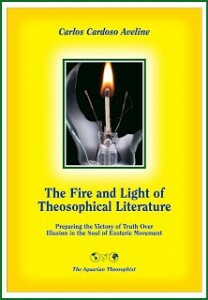 On the duty and dharma of the modern esoteric movement, see the book “The Fire and Light of Theosophical Literature”, by Carlos Cardoso Aveline.